The walk was a true test of character. 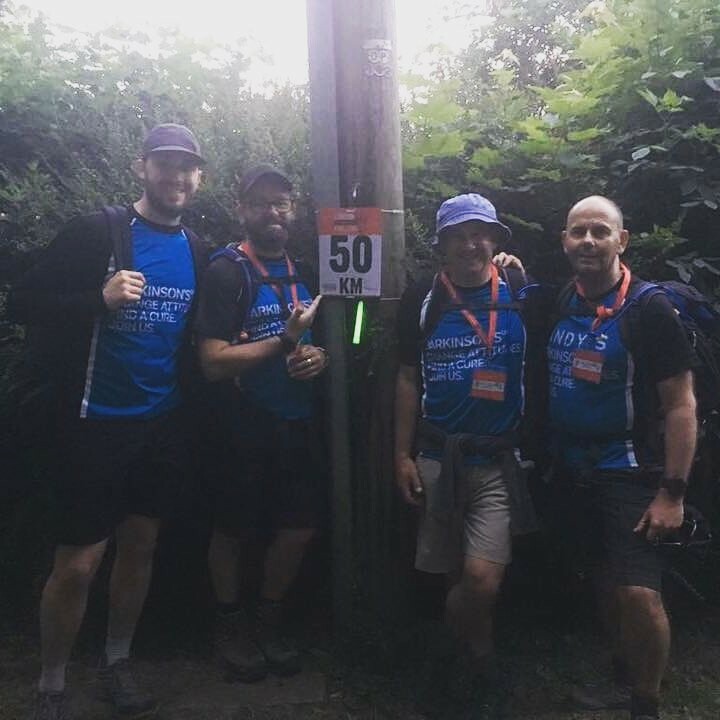 I walked with 3 (Andy, Richard and Joe) team mates from Old Deer Park in Richmond, London to Brighton Racecourse, a total of 100km or for the traditionalists 63 miles. We began at 9.30am on Saturday morning and finished at 11.15am on Sunday morning having walked through the night. Our actual walking time was 22 hours and so far we have raised over £4000 for Parkinson’s Disease research. 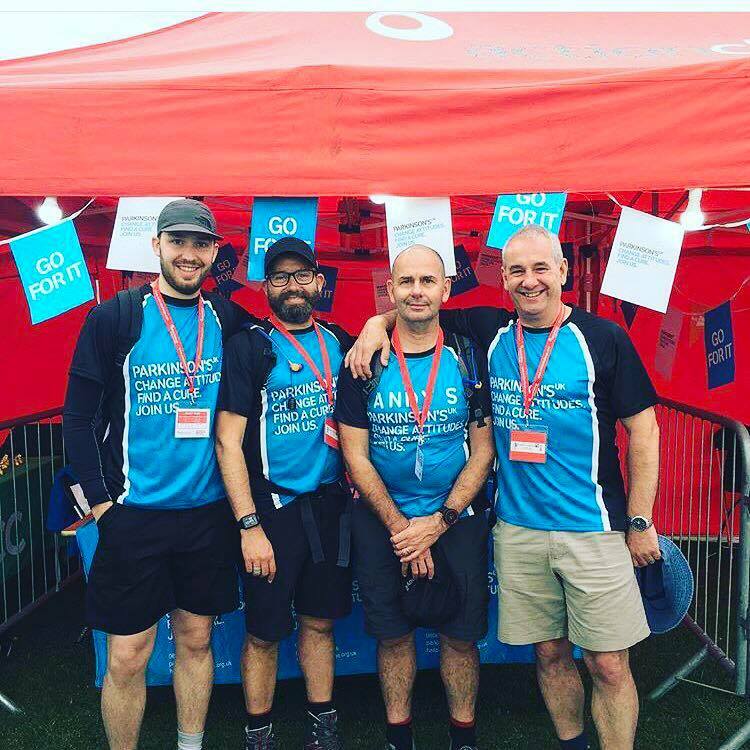 On Saturday May 27 I will be setting out with (The Smalls’) on a 100km hike from Richmond Park in London to Brighton to help raise funds for and awareness of Parkinson’s UK. Parkinson’s is something that is very close to my heart as I know how difficult it can be to live with the disease but we have also seen how beneficial it can be to those that suffer with Parkinson’s when new drugs/treatments become available, often supported by funds raised via Parkinson’s UK. My nephew, Joseph Smalls’ Granny (Sally) continues to prove to us all that she will not be beaten by the disease. Her fighting spirit is all the inspiration we need to carry us along the 100km route through London and across the North and South Downs. We’ll be giving it our all and hopefully reaching Brighton on Sunday morning after walking continuously through the night. We’re doing this out of respect for Sally (who we know would be out their with us if she had her own way) and for everyone who battles with Parkinsons’ on a daily basis, either with the illness themselves or caring for a loved one. I’d be grateful for any donation, large or small and would love to be able to smash the target if I can. Thanks for reading our story and thanks in advance for your support. Donate on Just Giving here.